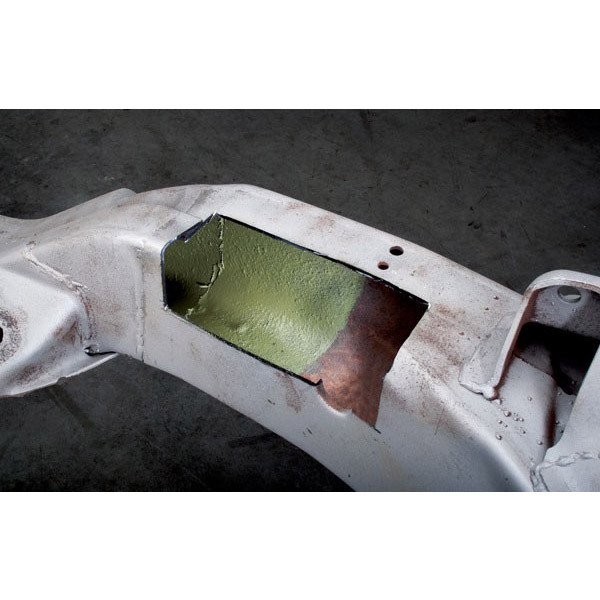 Before you do any restoration work on your vehicle, you usually have to deal with rust in a big way. 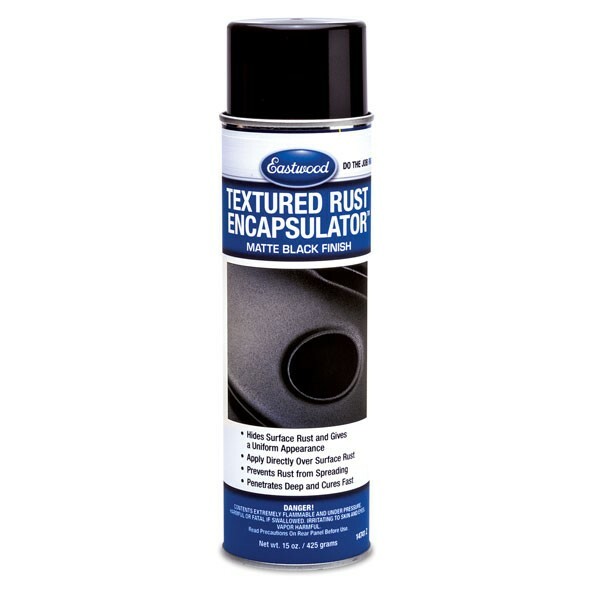 That means a few things: stopping rust in its tracks, removing old rust, and preventing new rust from forming. 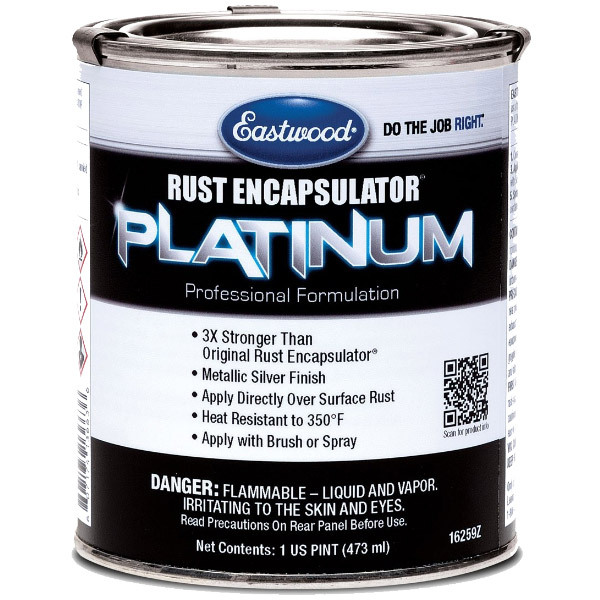 Lucky for you, PPCCO offers some of the best rust removal products around, as well as Rust Encapsulators that seal and stop rust, rust converters that transform surface rust into a paintable surface, anti-rust sprays that seal against future rust, and even rust remover gels that dissolve rust on vertical surfaces without drips and without a lot of effort. 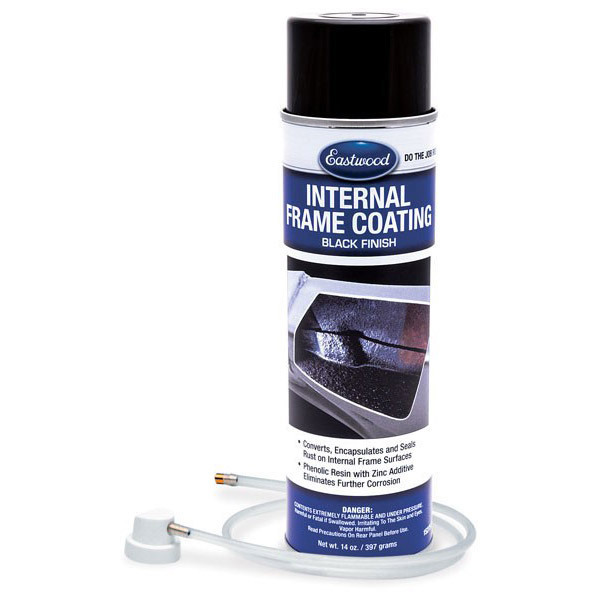 For dealing with rust in hidden areas, like inside a frame, Internal Frame Coat seals and stops rust from damaging your vehicle from the inside out. 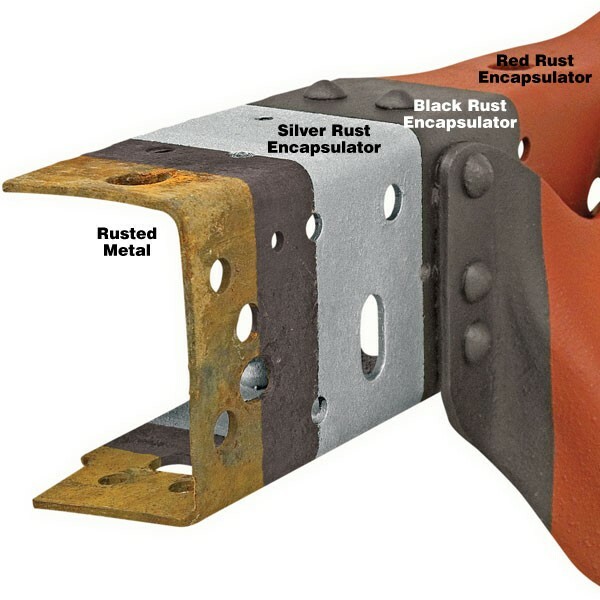 We all know it would be better to work with fresh metal with no rust at all on it, but that is not always possible. 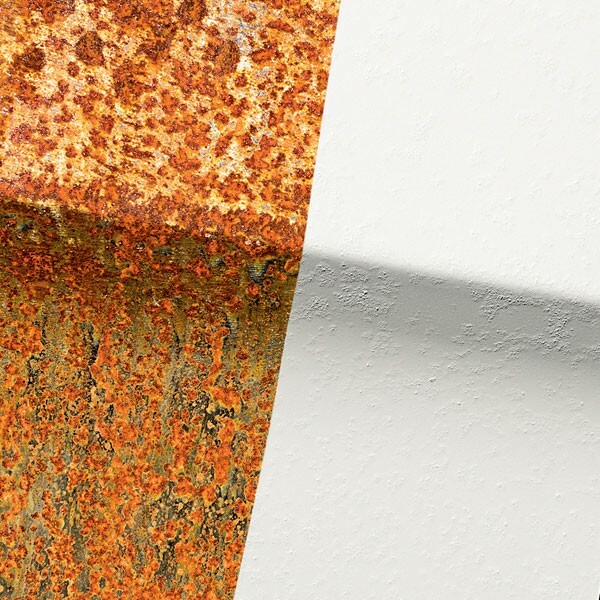 When dealing with most restorations there are going to be some areas where it just doesn't make sense to cut out all the old metal and start fresh, but you need to do something about the rust that is left. 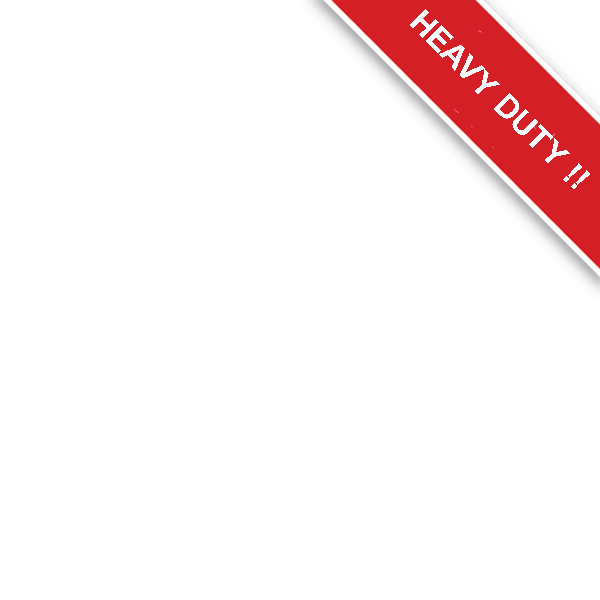 PPCCO can help. 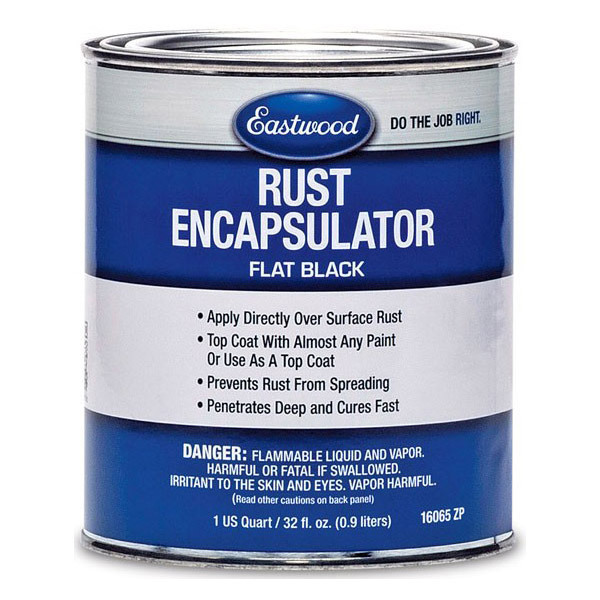 Eastwood's Rust Encapsulator covers, seals and stops rust from spreading. 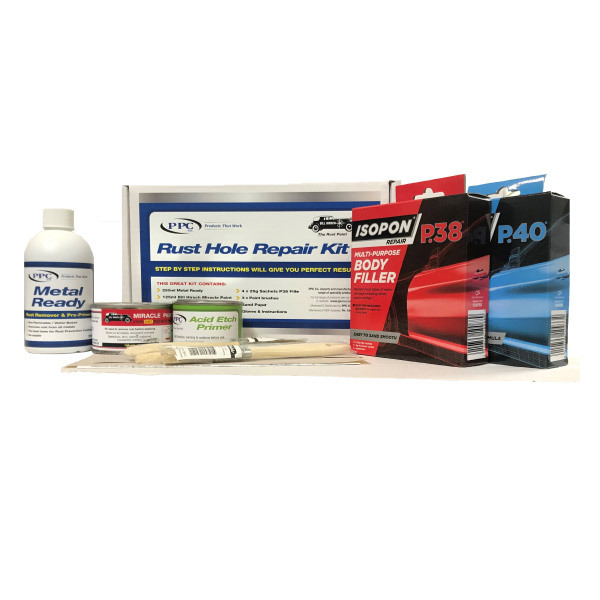 Bilt Hamber's Rust Converter reacts with residual rust, neutralizing it and leaving a polymer coating that works great as a primer for most paint top coats. 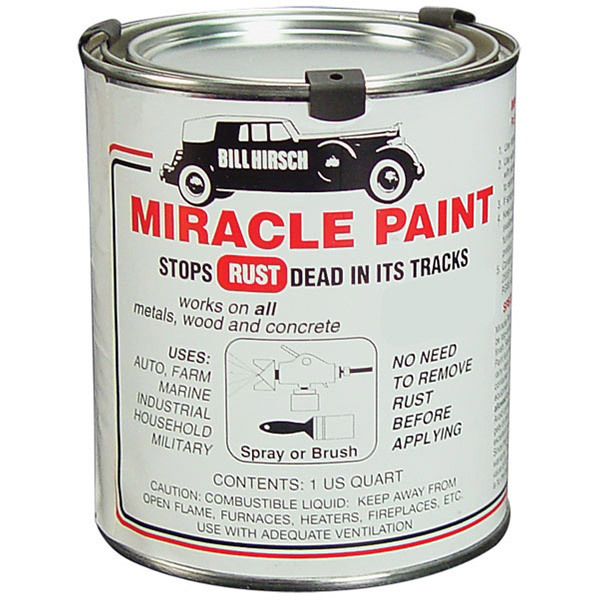 Plus we carry the entire line of Bill Hirsch Rust Paint products, legendary for their ability to stop rust in its tracks and leave a tough attractive finish. 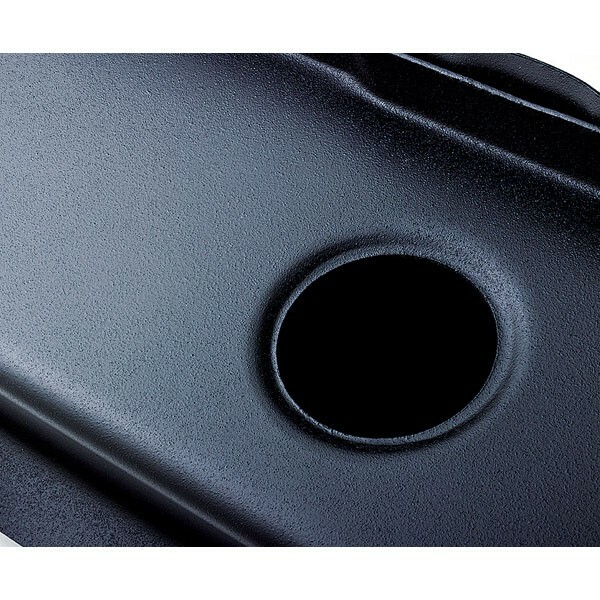 Working with new virgin metal on a real steel hot rod build, or new sheet metal replacement panels? 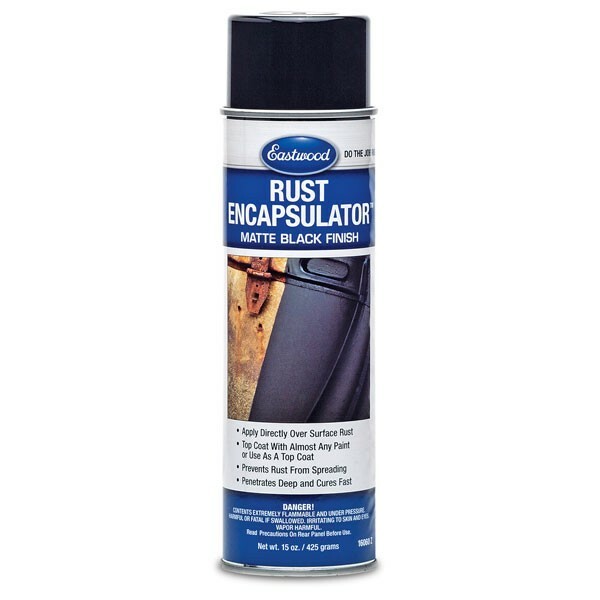 Or are you just that good that you stripped every last bit of old paint and rust out of the old bodywork? Well you are going to need to do something to keep the tin worms from coming back if you want it to last. 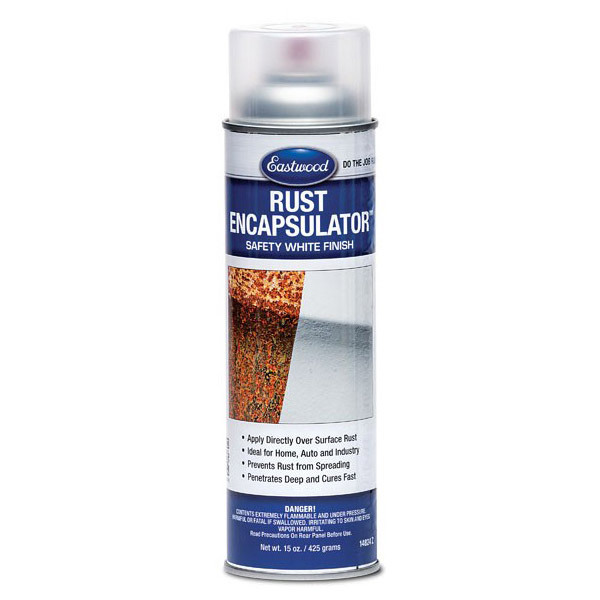 We love cars and hate rust too at PPCCO. 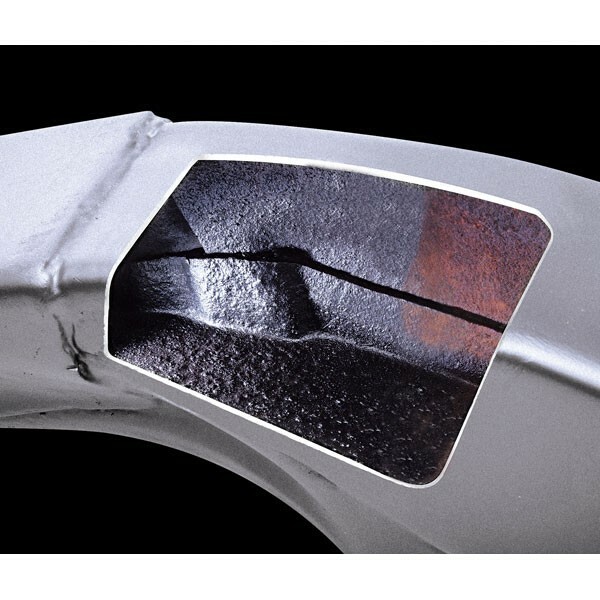 That's why we sell anti-rust coatings and rubberized undercoating to keep the rust from attacking the parts of your car you can't even see, like the inner side of body work and inside frame rails. 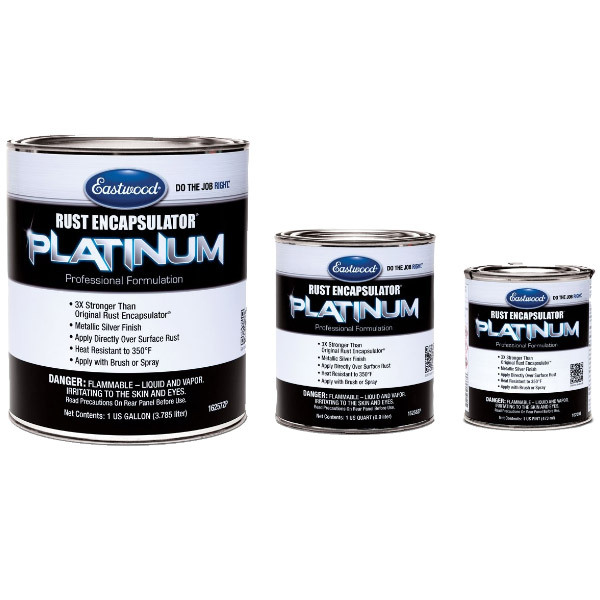 We also have an aerosol zinc galvanizing spray that is nearly as good as the real deal hot dip galvanized process. 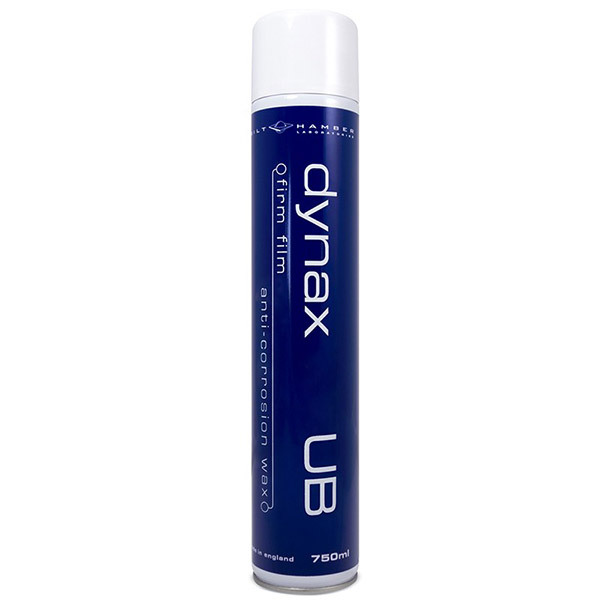 We've got rubberized undercoating too, specially formulated to be better than the stuff the factory applied back in the day. Live somewhere where they use salt on the roads in the winter? 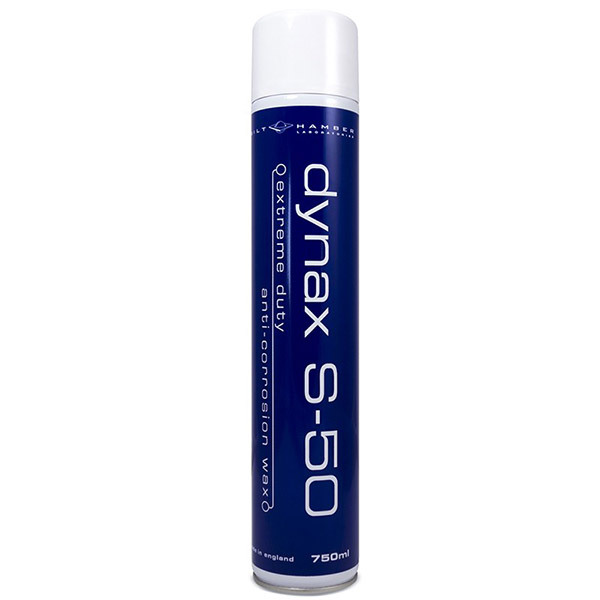 We've got a spray solution to neutralize it so you can drive in the winter without worry. 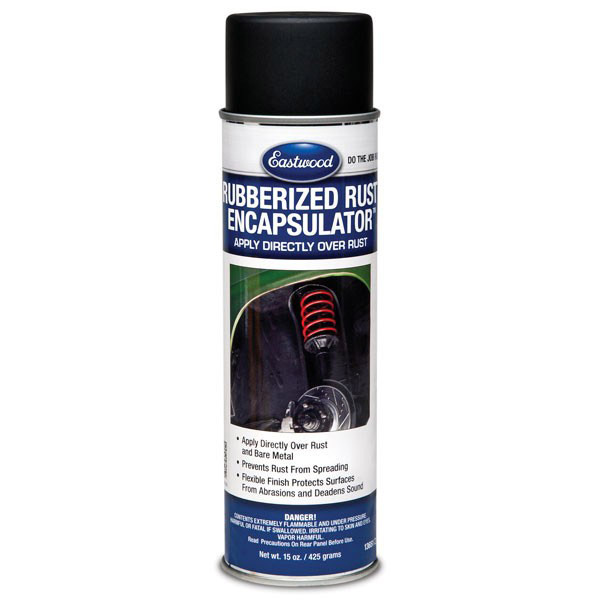 Repairs small rust holes with ease. 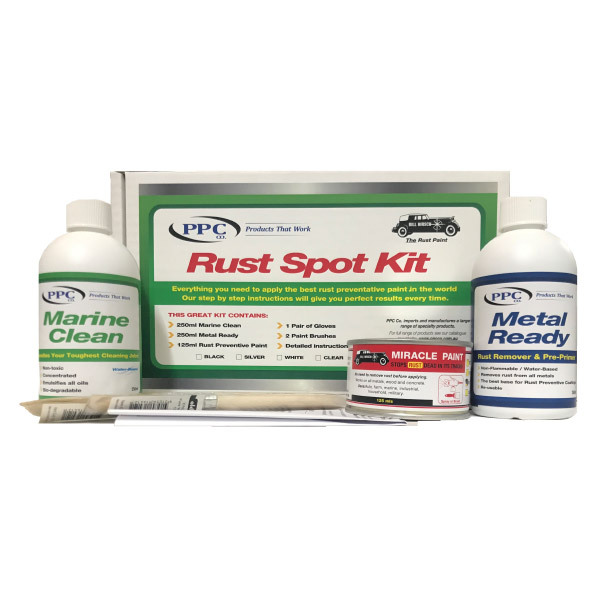 This kit includes everything you need to professionally repair rusted out panels. 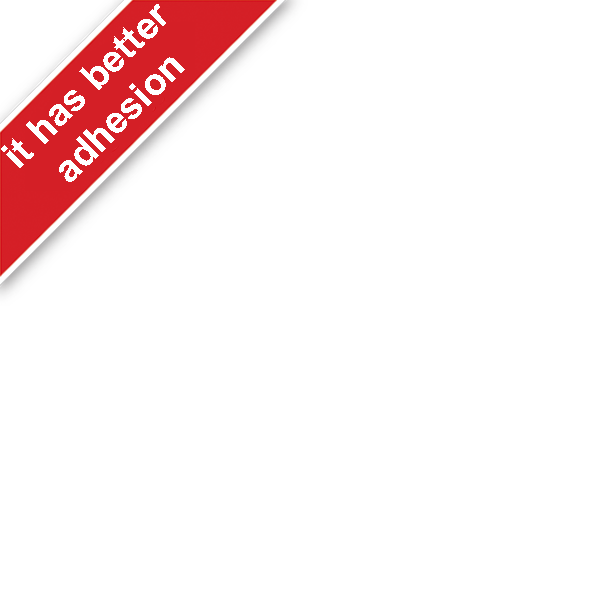 Want to try Hirsch Miracle Paint to see if you like it? 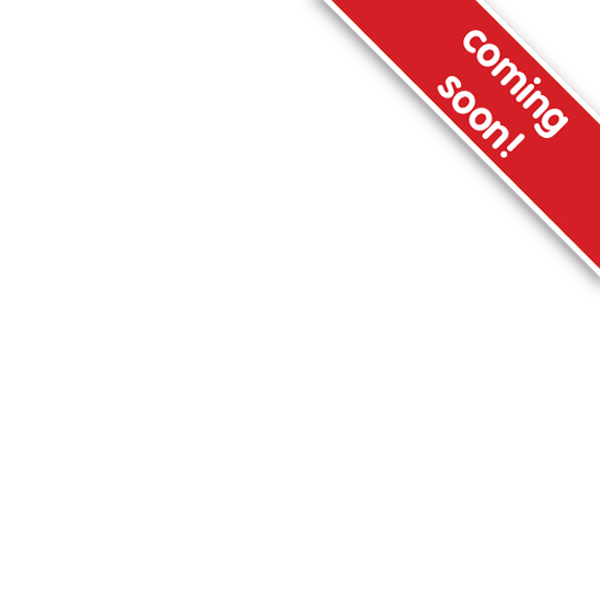 Now you can with the Super Starter Kit. 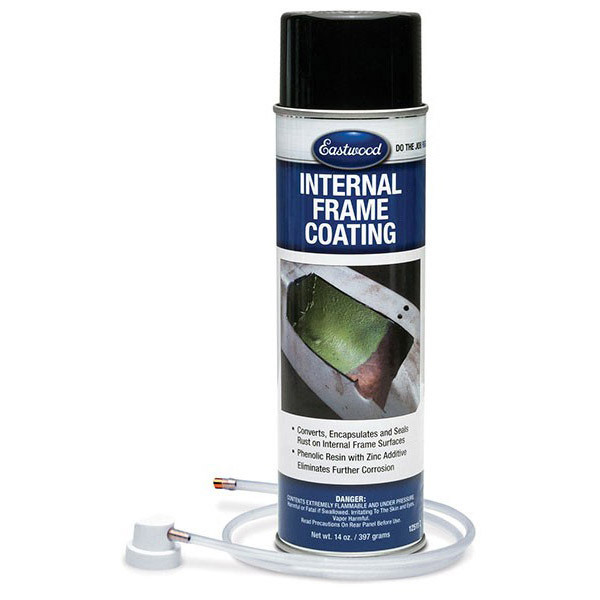 Enough product to clean, etch and paint about 6 square feet, with 2 coats. 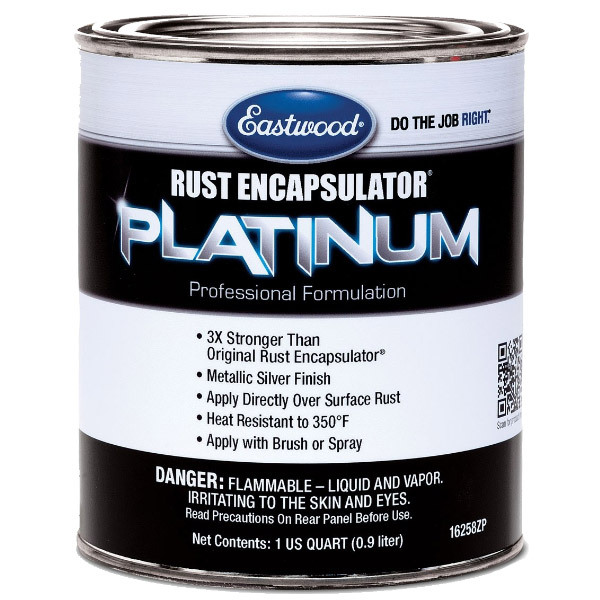 Simply the Best Rust Coating that we have ever offered! 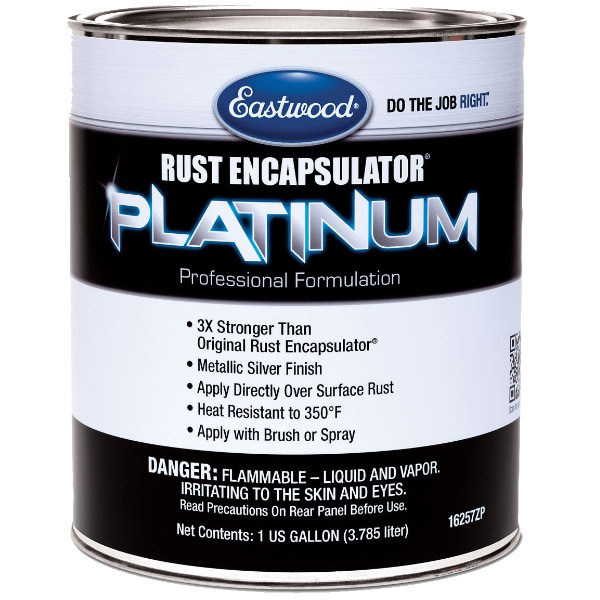 Rust Encapsulator Platinum is a high-performance, moisture-cured coating that encapsulates and stops rust from spreading. 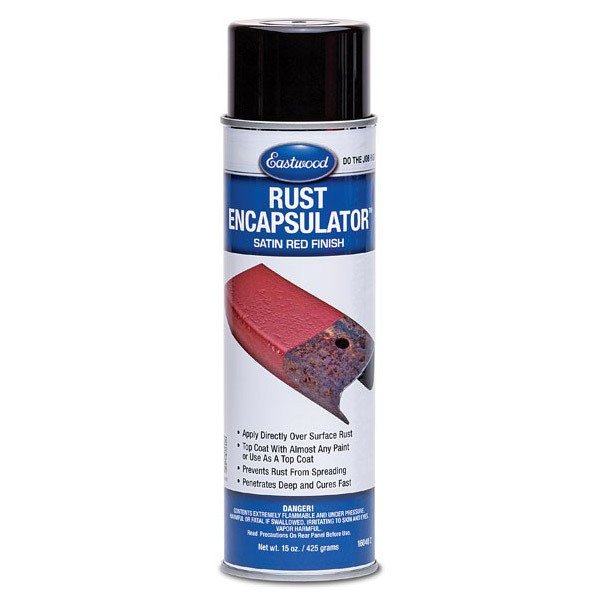 Rust Encapsulator is the easiest way to stop and prevent rust and corrosion from spreading. 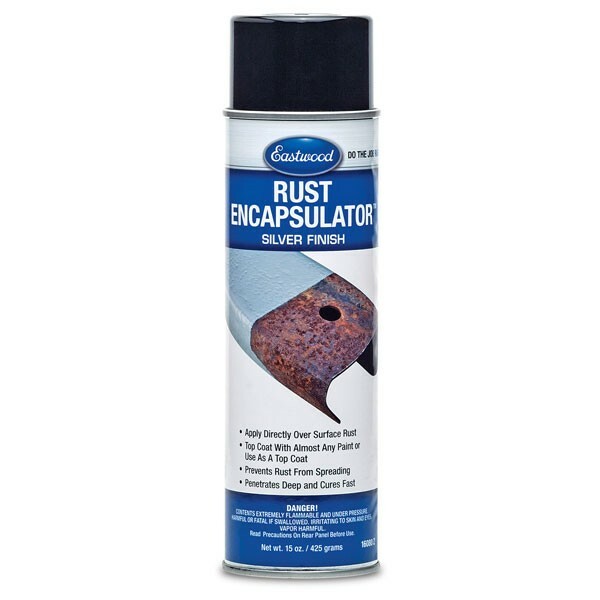 Simply wire brush any loose rust, wipe with PRE painting prep to clean the surface and apply.